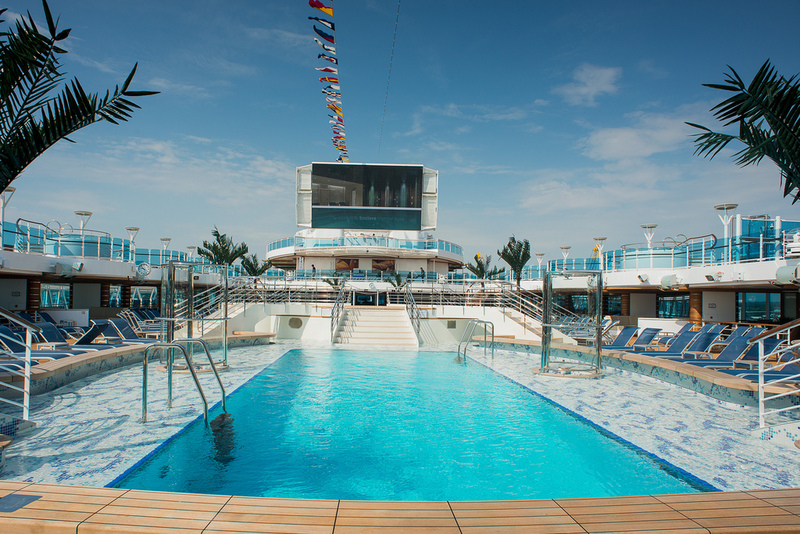 Princess Cruises is to partner with Twentieth Century Fox Home Entertainment to screen the biggest movie musical of all time, The Sound of Music, on-board all 18 of its ship. Beginning in mid-April the film will be shown once on every sailing throughout 2015 on Princess Cruises’ 300-square-foot (27 square metre) “Movies Under the Stars” outdoor television screen. A sing-a-long version will also be shown in on-board theatres. Enthusiasts can meet and rehearse for a special The Sound of Music edition of Princess Pop Choir or can participate in a themed trivia challenge testing fans movie knowledge. The offerings celebrate the 50th anniversaries of both the cruise line and the musical and is part of a year-long campaign to honour the classic film. The Sound of Music had its début in 1965 and has won five Academy Awards, including “Best Picture” and continues to inspire audiences around the world with unforgettable songs including “Do-Re-Mi,” “My Favourite Things,” “Climb Every Mountain,” and “The Sound of Music.” Starring Oscar winners Julie Andrews and Christopher Plummer, the film follows Maria (Andrews), the warm-hearted young woman who brings joy and music to Captain von Trapp (Plummer) and his seven children. Princess Cruises is not the only company to celebrate the musical film’s anniversary this year. Later this month and in October Saga Travel is running special river cruises to celebrate the anniversary while Titan Travel, in conjunction with Uniworld River Cruises, are marking the 50th anniversary on selected river cruises.